AMETEK introduced OXYvisor, its second-generation process oxygen analyzer, which optically measures oxygen in either the gas or liquid phase. OXYvisor is used for trace level ppm O2 gas phase measurements. In the gas phase, the analyzer measures from trace (0.5ppmv) to percent level oxygen. In the liquid phase, it measures dissolved oxygen from 1ppb to ppm. The OXYvisor can be used for continuous oxygen measurement for a range of industrial process and laboratory applications. 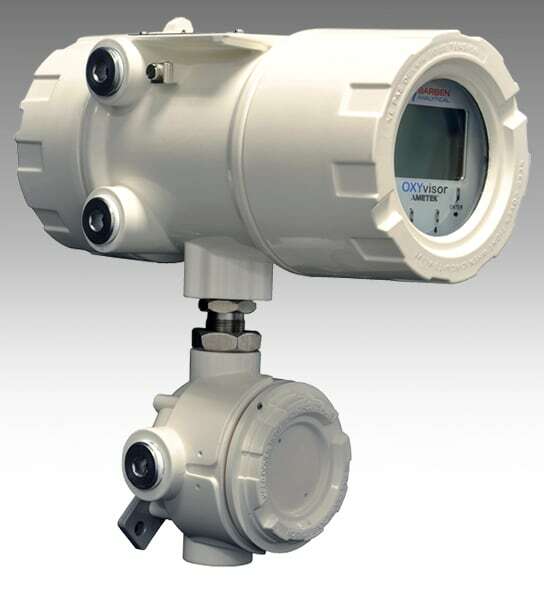 It detects oxygen in flare gas, nitrogen headers, hydrocarbon and other process streams. Hioki released its AC/DC current sensors—CT6875, rated for 500 A, and CT6876, rated for 1000 A. The pair of pass-through current sensors provide improvements in frequency band and noise resistance over their predecessors, making them suited for use in applications such as measuring the efficiency of electric and hybrid vehicles. 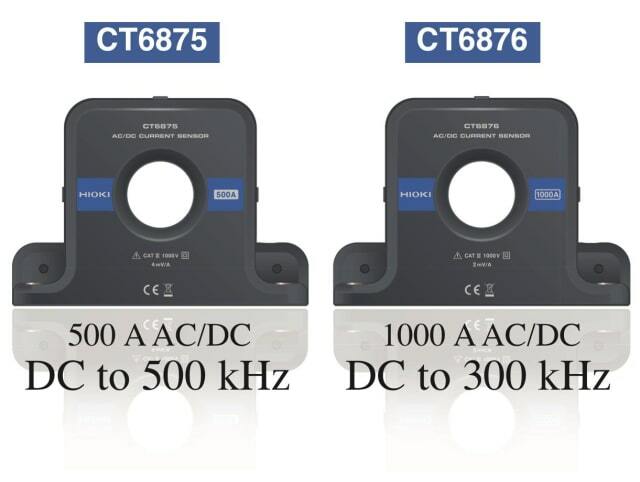 The CT6875 provides a frequency band of 2MHz, which is 20 times that of its predecessor the 9709, while the CT6876 provides a band of 1.5MHz, which is 75 times that of its predecessor the CT6865. 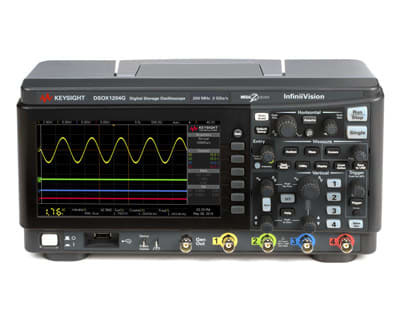 Keysight Technologies announced the 200 MHz, 4-channel models of the InfiniiVision 1000 X-Series oscilloscopes, which include 4-wire Serial Peripheral Interface (SPI) decode and remote connection via local area networks (LANs). The InfiniiVision 1000 X-Series oscilloscopes’ front panel is easy-to-use and features built-in help,allowing users to quickly understand oscilloscope functions and improve overall test efficiency. Seventeen complementary training signals are also preloaded to ensure rapid use of the measurement and analysis capabilities. PROMAX unveiled a system of electromagnetic field strength analyzers. With the RANGER Neo and HD RANGER TV & Spectrum analyzers, users have the tools to check the electromagnetic radiation thanks to the Field Strength function. With a master aerial, such as PROMAX’s AM-030 pointed to the unit that is suspected to be causing interference, it is possible to identify whether it is really irradiating an unwanted electromagnetic field or not. It is also important to have the K factor in the meter of the antenna properly configured to obtain accurate measurements. 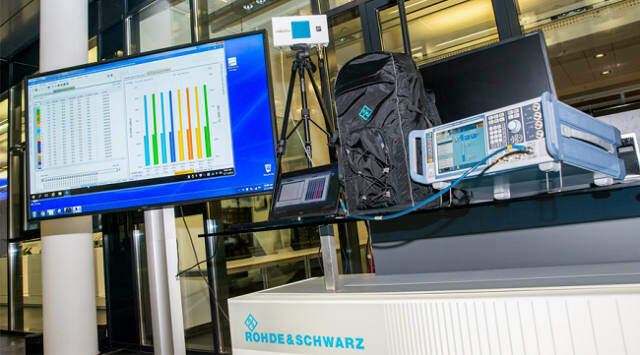 Rohde & Schwarz, iBwave and Anokiwave have partnered to develop an indoor 5G NR network. While 5G NR pre-commercial trials are currently ongoing in several countries, mostly in outdoor environments, indoor trials—especially in the mmWave frequency range—are still rare. In the network setup, a SMW200A signal generator transmitted 5G NR signals via the 24/26 GHz Active Antenna Innovator Kit supplied by Anokiwave to control various beams. The performance of the network was measured using an autonomous 5G NR network scanner TSMA6 with integrated PC, a downconverter TSME30DC that also covers 28 GHz frequency band and the ROMES4 drive test software placed into a backpack. For more information, visit Rohde & Schwarz’ website.